Over 320 million people use Twitter every month. Marketers cannot deny that the platform has immense marketing potential. Many Twitter users follow and frequently engage with the brands they are interested in. So this is definitely not the time to ignore Twitter. You need to figure out the best ways to engage with your target audience on Twitter. Be active on the platform, share valuable content, and target niche influencers and prospects. It can be daunting to manage all of this manually. Thankfully, there are numerous Twitter marketing tools that can help you increase user engagement on this platform. Let’s take a look at 25 of the best Twitter marketing tools that can help you automate and enhance your marketing campaigns on Twitter. Agorapulse is one of the most affordable social media management tools. It helps you engage with your Twitter followers. You can reach out to new audiences and build connections. This tool gathers critical data to provide you with critical insights. It can help you execute Twitter campaigns. Scheduling and queuing tweets is easy. It has an easy-to-use dashboard and it can also help you monitor mentions. Audiense Connect is a powerful tool that can help you manage your Twitter accounts. You can use this tool to understand and identify your audience and increase user engagement. It allows you to create your own custom chatbot to engage with followers and potential customers using Twitter DMs. Easily spy on your competitors and see where you stand. Discover new followers, follow them back, and unfollow potential spammers. You can also gain insights into your audience such as where they come from, the language they use, and their recent Twitter activities. Bluenod helps you visualize Twitter communities. This tool makes it easier to find influencers and connect with them to share your best content. You can target specific niche-based Twitter communities for your content marketing and ad campaigns. Bluenod also allows you to easily build and manage your Twitter lists. You can use it to monitor keywords and track campaigns. Buffer is a social media management tool that can help you manage your tweets. You can schedule your tweets and analyze the performance of each tweet. It helps you manage multiple Twitter accounts. You can schedule tweets whenever you have time or you discover share-worthy content. This will help you build your following and influence. Commun.it helps you manage the Twitter community with ease. You can use this tool to track mentions, build real relationships, and engage with potential customers. It also helps you share top curate content and tweets in your niche. You can schedule tweets and post each of them at the optimal time to increase engagement. Also, keep track of your brand awareness, new leads, and real-time engagement, and download progress reports. Crowdfire helps you manage your Twitter account more efficiently. Along with optimizing your account to ensure that you only follow the right people, it helps you schedule all of your tweets in advance and publish them at the best times to post. What separates Crowdfire from the rest of the social media tools is the Content Recommendation feature and RSS integration. These features help you fetch new, relevant content everyday which you can share with your audience and keep your social timelines updated. dlvr.it is a social media auto-posting and scheduling tool. You can load your content and queue it. You just need to connect RSS feeds to your social media profiles. The auto-posting feature of this tool will do the rest. It automatically shares photos, articles, and videos on Twitter. You can customize your posts with hashtags and attributions. DoesFollow helps you keep track of who follows whom on Twitter. All you need to do is enter names and the tool will tell you if they follow each other. It is a great tool for understanding the dynamics of relationships between users. Followerwonk enables you to dig deeper into Twitter analytics. You can gain insights into your followers – who they are, where they are located, when they tweet, who they follow, and more. The tool also helps you find and connect with new influencers in your niche. You can also gather info about any profile and compare data. Hashtagify is a unique tool that helps you choose the right hashtags to ensure you achieve more. It enables you to boost the success of your marketing campaigns with the best hashtag suggestions. Choose the hashtags that work best for you, monitor performance, and analyze reach. Get custom suggestions for your next tweets to drive more engagement. Hootsuite is a complete social media tool that helps you accomplish more with your Twitter marketing initiatives. 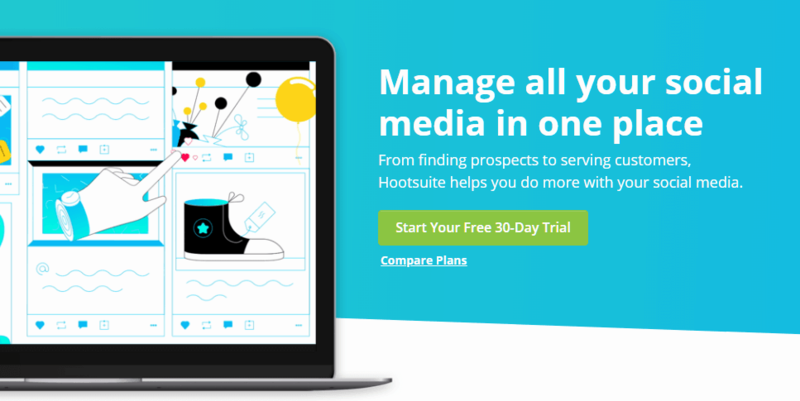 From finding prospects to handling customer complaints, you can do everything with Hootsuite. It helps you find, schedule, manage, and report your Twitter marketing strategies. And it helps you find and filter Twitter conversations by keyword, hashtag, and location. 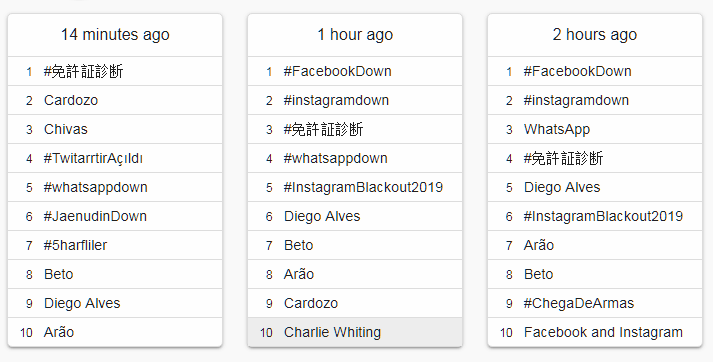 iTrended releases official reports about Twitter trends. It provides zoomable heatmaps that show where the trends occurred. And it can also tell you from where the trends originated and how they progressed on to other locations. You can get access to data of worldwide, country-based, and city-based trends. Twitter trend data is available for years, back as far as 2009. Trend reports cover up to 2 weeks for a single trend. Hashtags can help you boost the discoverability of your tweets. However, it can be difficult to decide which hashtags to use. RiteTag provides you with instant hashtag suggestions for images and texts on desktop and mobile. You can also group hashtags to compare them on RiteTag, based on real-time hashtag engagement. SocialOomph helps you boost your social media productivity. It helps you save time handling your Twitter account. You can easily schedule updates and monitor your social media activity. You can also save your drafts and reuse them later. This can help you save hours of typing. This tool enables you to track keywords, hashtags, mentions, and retweets. With the help of SocialRank, you can easily identify, organize, and manage your audiences on various social media networks including Twitter. You can easily learn more about your followers and conduct segmentation. This can help you plan and execute customized DM campaigns. You can create lists and send personalized messages to a group of individuals with one click. Statusbrew is a Twitter management, marketing, and monitoring tool. It can help you schedule content and monitor your audience and brand management. You can use Statusbrew to improve and optimize your Twitter marketing initiatives. You can search and follow the most relevant people. And you can manage your Twitter profile more efficiently with features that allow you to follow, unfollow, whitelist, and more. Tagboard is a platform that enables you to aggregate data from social networking sites like Twitter and Facebook with the help of hashtags. It aggregates content, embeds, reposts, and redisplays on a tagboard. Keyword filters help you sift through aggregated posts. And you can filter or promote content as per the requirement. You can customize the tagboard and adjust screen size, resolution, and more. trends24 helps you keep track of the topics that trend on Twitter throughout the day. It can be pretty useful for marketing your brand on Twitter. You can explore trending hashtags and videos on Twitter. The timeline view gives you an idea about the trending topic history for every hour of last 24 hours. This tool provides you with real-time data on topics trending on Twitter. It maps the trending hashtags and topics. You can see the topics trending globally, nationally, and in your city on the map. It is a mashup of Google Maps and Twitter. You can find out what Twitter users in different cities are talking about. If you click on any of the trends shown on the map, you will get information on the volume of tweets for that word. Tweepi helps you get more followers on Twitter. You can use this tool to grow your follower base with the power of artificial intelligence. You can use Tweepi to engage users, get more Twitter followers, and increase the visibility of your brand. Tweepi’s AI-driven Twitter recommendations help you identify users who are relevant to your topic of interest. You can also monitor the platform to find the best tweets to engage with. You can use TweetChat to follow Twitter chats. It is very easy to use. All you need to do is to enter a hashtag relevant to your nice or topic of interest. It will lead you to conversations related to the hashtag. You will need to authorize the app by logging in using Twitter and you are good to go. You can participate in the conversation through TweetChat. You don’t need to switch to Twitter to see and participate in live chats. TweetDeck is one of the most powerful tools that can help you tweet like a professional. It allows you to manage multiple Twitter accounts in one place. For businesses who are looking for real-time tracking, organizing, and engagement, this tool is perfect. You can use this tool to reach your audience, build Twitter lists, schedule tweets, and monitor conversations. Tweroid is a very useful tool for marketers on Twitter. It helps you optimize your tweets for better reach. Tweroid analyzes both your tweets and your followers’ tweets. It provides you with insights to help you identify the best times to tweet when the majority of your followers tend to be online. Twibble is a powerful social media automation tool for Twitter and Facebook. It helps you auto tweet content from real-time RSS feeds according to your Twitter schedule. With its scheduling feature, you can control the frequency of tweets. Twibble can easily embed photos and videos in your tweets and it can also retweet from your favorite Twitter accounts automatically. That’s not all. It also helps you with audience targeting. You can use the auto-mention feature to include the top influencers of any hashtag. Also, you can monitor your performance and optimize your tweets for better visibility and engagement. ManageFlitter can help you efficiently manage multiple Twitter accounts. This tool tells you how to work faster and smarter with Twitter, schedule your tweets, and track performance. You can discover people who are relevant to your niche and follow them. Filter results by keywords, number of followers, account age, location, and more. ManageFlitter also enables you to discover accounts who don’t follow you back or who are inactive. You can unfollow them. Also, learn about the best time to tweet on your account to ensure that your followers see each of your tweets and engage with them. Digital marketers use different kinds of Twitter marketing tools to get the most out of Twitter. Tools help you engage with your followers in a better way. They help you understand your followers. You can segment your audience to optimize your Twitter campaigns for better results. Has any other tool helped you enhance your Twitter marketing campaigns? Please mention it in the comments below. I would love to include it in the list.